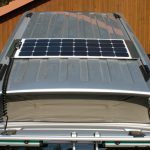 You can choose between solar systems mounted on the vehicle and mobile solar modules that you only put in the sun when needed. 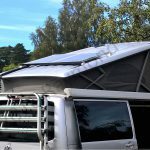 The roof mounted base and premium solar systems for VW T5/T6 or other vans and campers, framed solar modules are attached to sturdy aluminium carriers. 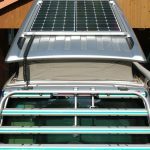 For the Premium Light models, flexible solar modules stuck to an aluminium sheet. This is then attached to the roof in the roof rails. 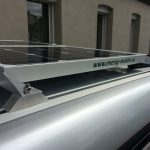 Spiral cables are connected to the solar modules, so that a pop top roof can be easily opened and closed. 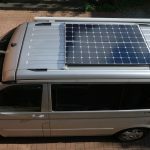 For assembly, all you have to do is attach the charging controller in the vehicle, run a cable into the vehicle, lay it and connect to the charging controller. Then lead the battery connection cable to the battery and connect to the charging controller. Finally, attach the modules to the roof and connect the connectors. A guide is attached. 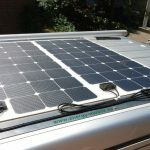 All solar systems are complete with solar panels, charging controllers, cables and fastening materials. 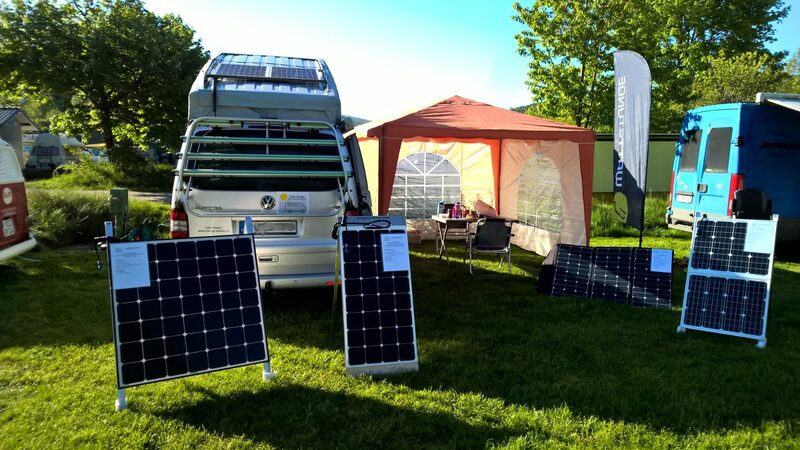 With monocrystalline solar panels and PWM charging controllers. Operates the cooling box and small consumer in summer. 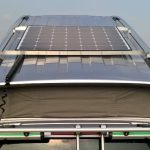 With high-performance solar modules and MPPT charging controllers, they deliver a high yield even in low light conditions. 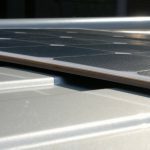 Flexible high-performance modules stuck to an Aluminium sheet results in the flat solution. In conjunction with MPPT charging controllers, they also deliver a high yield here. Easy, innovative and flexible to use. 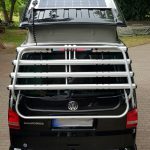 For all those who do not want a fixed system and therefore also interesting for Campers with tents. MPPT charging controllers give you maximum yield. 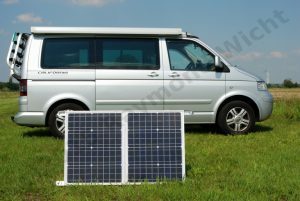 This means that the solar systems can also be set up next to the vehicle, e.g. if the vehicle is positioned in the shade.